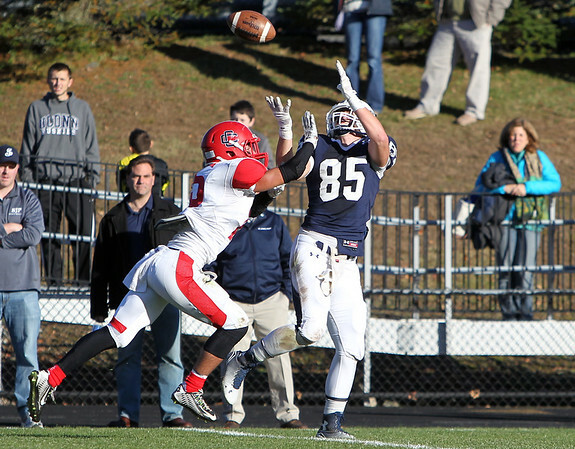 St. John's Prep senior tight end Jake Burt (85) tries to catch a deep pass down the left sideline while being covered closely by Central Catholic senior Mike Balsamo (15) on Saturday afternoon. The Eagles steamrolled the Raiders 42-7 in the D1 North Semifinal at Cronin Field in Danvers. DAVID LE/Staff photo. 11/2/14.